We have another selection of holiday cottages from that giant of self-catering holiday cottage providers, "Cottages 4 You". The cottages shown below were all first featured by us in the week of 10th January 2014. The cottages can be found in various counties around the UK, with East Sussex, Durham, Dyfed, North Yorkshire, Berwickshire, Derbyshire, Lancashire, Kent, Cornwall, Gwynedd, Suffolk, Cork, Dumfriesshire and Kerry all getting a mention. As always at this juncture, I like to pick a few cottages for an extra special mention. This week there are two cottages to talk about: "The Mill House" and "Lenys Cottage". The first one in this small list is The Mill House in Earlston, Berwickshire. 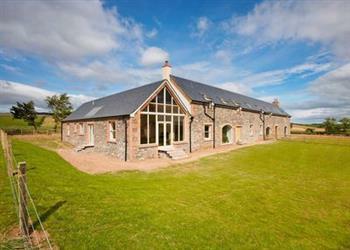 A modern cottage, The Mill House has been converted from farm buildings, and sleeps 10 people. Or how about this cottage in the north of England: Lenys Cottage in Snaisgill, near Middleton-in-Teesdale sleeps 7 people, and can be found off the beaten track. 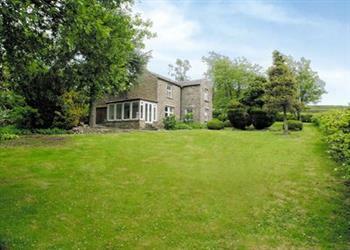 Middleton-in-Teesdale is a mile away; or head out in the car to explore the Lake District.